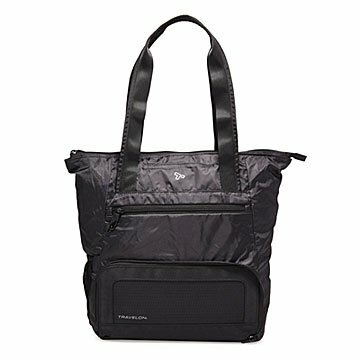 You can travel confidently with your valuables tucked into this theft-resistant bag. Consider this tote bag your personal, portable Fort Knox. Every feature is designed to thwart potential thieves, from the slash-resistant body panels and straps to the locking zipper pulls. There are even RFID-blocking pockets to stop digital pickpockets. When you're done with your top-secret mission, it's designed to fold down and tuck into its own zip compartment for easy storage at home or in your hotel room. Made in China.